Black Canyon of the Gunnison National Park in Colorado has incredible vistas of the 2700′ deep canyon. For pets there are 2 pet friendly trails and 14 outlooks. Read my Black Canyon blog for more details about the park and seeing it with your pet. 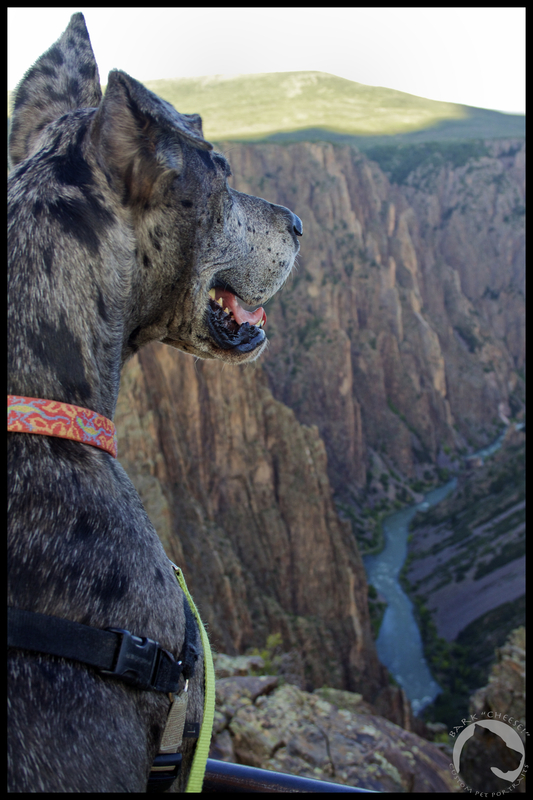 This entry was posted in Dogs and National Parks, Great Danes, Pet Photography and tagged Black Canyon of the Gunnison, Great Dane, hiking, National Parks, traveling, Varel. Bookmark the permalink.